Our guest today is Camilla Kuhn, author and illustrator of Samira and the Skeletons. Kuhn lives in Oslo, Norway, with her husband, two children, two dogs, a cat, two guinea pigs, a tortoise, some fish and thus far seven walking stick insects. 1. What were your favorite books when you were a young reader? I grew up in the suburbs outside Oslo, and there wasn’t a lot for kids to do except riding horses at the local farms (which I wasn´t allowed to do, because it cost money), or hanging around at the library (which didn´t cost anything, so that I was allowed to do). 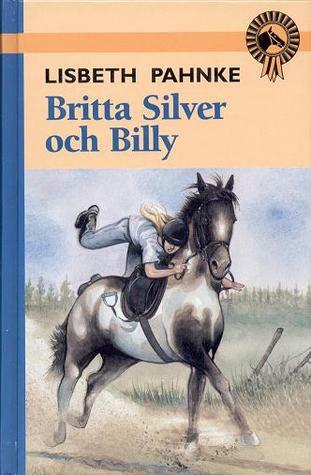 I read a lot, and I think I preferred books that could feed my dreams of being somebody other than I was: books about girls with horses of course, beautiful girls that were older than me and were loved by everybody, like Nancy Drew, or the Swedish Britta and her horse Silver. I loved them. But the books that made the biggest impact on me were the little picture books by Beatrix Potter. I discovered a whole little section of a shelf dedicated to her books only, and I was mesmerized. For a change I didn’t want to be the characters in the book — I wanted to be the creator of them, Beatrix Potter. And now, in a sense, I am! 2. Which book(s) would you/did you/will you make a point of reading to your own children? I’m all for letting children choose what they want to read themselves, and I try not to impose my own preferences onto them. The most important thing is to teach them to enjoy reading. And I make sure they have access to a lot of books. All kinds of books. Especially new ones. There is a problem in Norway — and I’m certain it goes for other countries as well — that we have a canon of classics, the books we, the parents, grew up with and are reluctant to let go. Books that everyone knows and has read. But in many cases they are outdated; they don’t reflect the society our children live in. So I’m very eager to take my chances on unfamiliar names, new voices, and unfamiliar territories when I look for books for my children today. 3. How did you get your start writing children’s books? Well, I suppose it all started there with Beatrix Potter at the library when I was a kid. I started to love books, and especially picture books. But my interest was primarily directed towards the picture part of it. Drawing was my talent, and it was my elder sister was the one that was good with words. So I educated myself to make pictures, first through manual art and then graphic design. My sister eventually published her first novel, and the deal was that at some point she would make a book for children, and I would do the illustrations in it. But then she published her second novel, and I realized that I might as well take the shovel in my own hands, so to speak, and write the text myself. So I did! And I was lucky enough to get the book published! 4. What are you doing when you’re not writing books or answering questions for Eerdlings? Apart from spending time with my kids, our pets, and my husband, I go on tour a lot. All children in Norway are entitled to a certain amount of visits from cultural workers every year — musicians, actors, authors, and so on. It’s a brilliant idea: it introduces the children to all kinds of art, and it presents artists with an opportunity to earn money and meet new audiences. Win-win. I am on tour this very moment in fact, currently residing in a cabin at a resort in the countryside for a week, visiting all 1st-4th graders in the area. And I breed pet rats. I have three of them with me on tour now. They are not allowed in the classrooms, so they have to stay in the cabin. My publisher joked that it was a brilliant idea to bring my own rats to the hotel, given the fact that rodents are so hard to come by in hotels these days. I agree with him totally. 5. What’s the best advice you can give to aspiring authors or illustrators? First of all, before listening to advice from others — in this case, me — remember that what works for others might not work for you. And of course what did not work for others might work brilliantly for you! But I do have one piece of advice that I frequently give others, if they ask, and I even give this advice to myself sometimes, if I’m stuck: there is no magic to it, you just have to work. Just write, or make illustrations, instead of wasting time thinking about how you can do it best. Just do it! It doesn’t matter if what you write (or draw) is crap. It’s better to make crap than to make nothing at all. And in making the crap, something new might come out of it, some new idea, some insight, something that would never have occurred to you if you didn’t allow yourself to make that crap in the first place. Good luck! For more, read Camilla Kuhn’s “From Brain to Book” post about the icky inspiration for Samira and the Skeletons, and order the book today! Another “get down to the soul” kind of post! Thank you.